Cast and Crew are battling harsh conditions this week while filming outside. 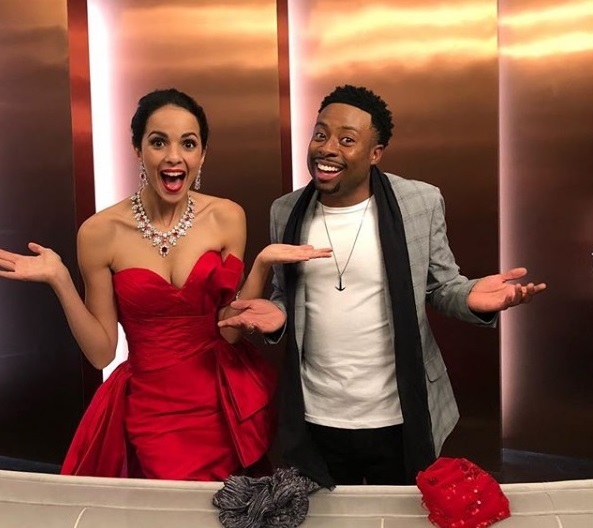 For tonight’s Episode 3×08, they got to dress up for a Gala Dinner that’s taking place in a warm and comfy ball room, at least. Shortly before the episodes aired, some of the cast and crew posted “old” photos and videos taken when filming the episodes back in September; e.g. 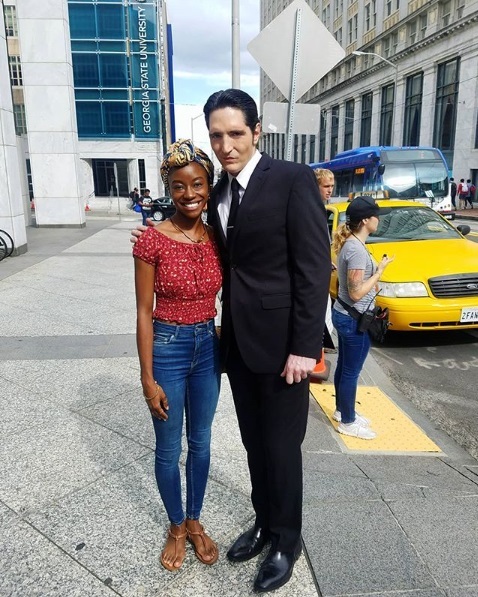 David Dastmalchian for Episode 3×06 (with Lucas Till), Sibongile Mlambo for 3×06 (with David Dastmalchian) or Jimmy Akingbola for 3×07 (with Justin Hires, with Tristin Mays and with Joy Sunday). Since Episode 3×03, CBS hadn’t released any Sneak Peeks. Fans felt cheated on, especially because Hawaii Five-0 and Blue Bloods got several Sneak Peeks for every episode. 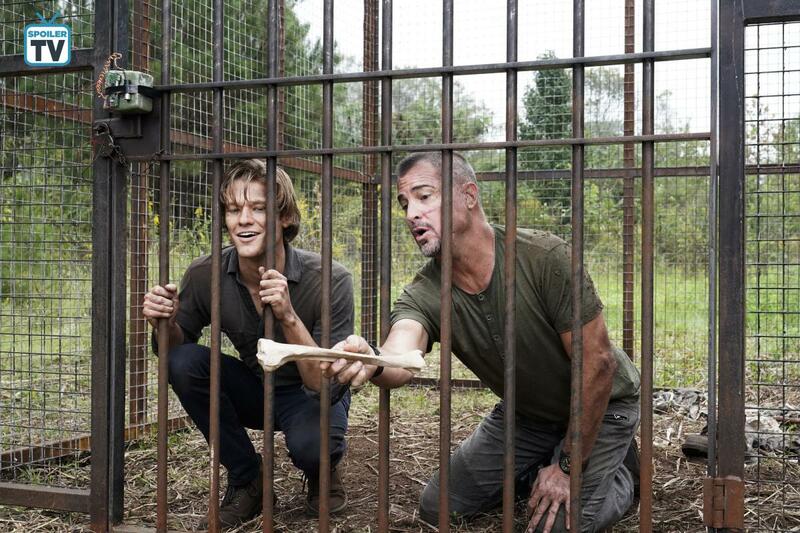 So it was a nice surprise when for Episode 3×07, they released 3 Sneak Peeks on November 8. Let’s take a look at the recent ratings. To recap: With the World Series being on at the same time, the demo-rating for Episode 3×05 (Dia de Muertos + Sicarios + Family) dropped to a 0.6. It still managed a live-viewers audience of 5.894 millions. In the +7 Days ratings, it added 1.66 million viewers (+28%), reaching a total of 7.553 million viewers and a demo of 1.01 (+58%) when including the DVR numbers. 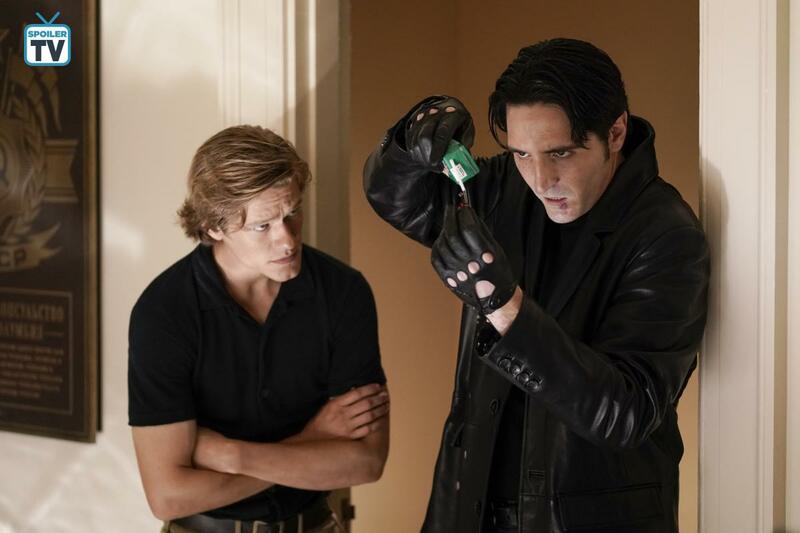 Episode 3×06 (Murdoc + MacGyver + Murdoc) made 6.063 milllion live-viewers with a demo-rating of 0.8 in the important demo-group of 18-49-year-olds. This episode has the second-highest audience number and the highest (un-rounded) demo of Season 3 so far. In the +7 Days ratings, it added 1.41 million viewers (+23%), reaching a total of 7.475 million viewers and a demo of 1.09 (+40%) when including DVR. Episode 3×07 (Scavengers + Hard Drive + Dragonfly) reached 6.429 million live-viewers with a demo of 0.7. It had the same demo-rating as Hawaii Five-0, but more interestingly, it beat Last Man Standing in audience numbers, winning the 8pm time-slot. So far, this episode has the highest audience number this season. 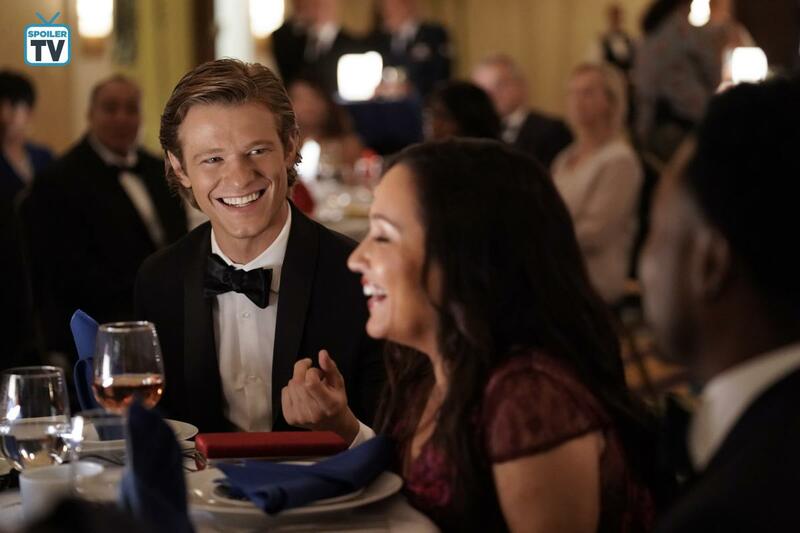 At the moment, the MacGyver Reboot has an average of 6.008 millions live-viewers with a demo-rating of 0.71. For comparison with other CBS crime shows in the same range: Peter Lenkov’s rookie show Magnum PI is at 6.001 millions / 0.88 demo (Monday) after airing 7 episodes so far, despite getting a lot more promo than other CBS shows. It just got an extra premiere-slot on Sunday, January 20 – directly after the AFC Championship Game. This could work in their favor; affecting the episode averages for the season. SEAL Team is on average at 5.34 million live-viewers / 0.83 in demo (Wednesday, 7 episodes) and SWAT at 5.22 / 0.71 (Thursday, 7 episodes). When comparing to all CBS scripted shows this Fall TV Season, the Reboot is at rank 19 (of 20) in demo and at rank 14 (of 20) in audience. While that doesn’t read so great, all prediction sites have the show predicted as “likely to be renewed” or “sure to be renewed”. Its famous brand name with franchise and syndication potential sure makes it a likely candidate to get another season. 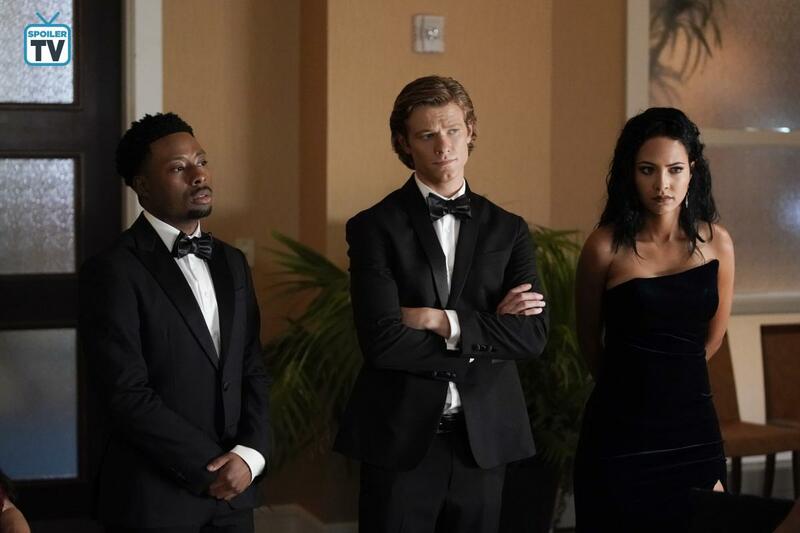 MacGyver and the team set off on a dangerous capture operation after an Irish military intelligence officer approaches them claiming to know the whereabouts of “The Ghost,” a lethal bomb maker whom Mac has been hunting for years. The episode has guest appearances by Holland Roden, Emerson Brooks (as Charlie Robinson) and Sean C. Michael (as the Ghost). 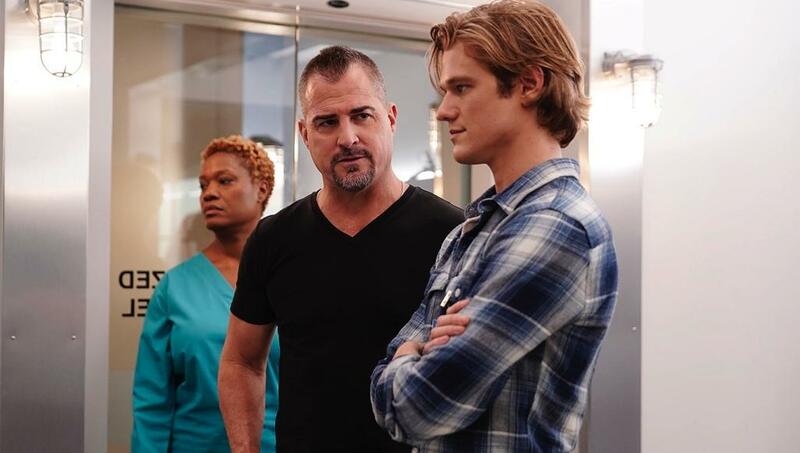 It looks like George Eads might be absent in this episode since I haven’t seen him in any of the BtS or promo material. On November 8, they released 13 Official Stills. Most pf them show Team Phoenix (sans Jack and Leanna) at a Gala Dinner, all dolled up and/or in sharp suits. They also released 2 Sneak Peeks yesterday. The first one has Mac and Riley talking about Nasha before Mac meets Holland Rodan’s character Eileen at a veteran gala. The second one has Mac, Riley, Bozer plus Charlie and Eileen out in the field with Matty assisting in the War Room back at Phoenix. Emerson Brooks uploaded a BtS photo showing Charlie on a stretcher; confirming that the episode will take place in Paris. Executive Producer and Showrunner Peter Lenkov remains quiet. 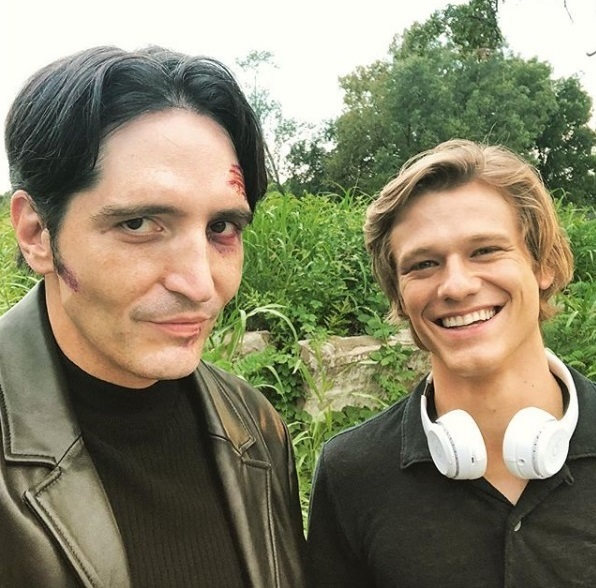 In fact, besides a re-post of Lucas Till, he still hasn’t posted anything MacGyver-related on Instagram since October 5. Directed by Michael Martinez. Guest appearance by Lance Gross (Billy Colton) and return of Reign Edwards (as Leanna). Check out the Press Release and the Official Stills here. Partially filmed in a prison location. Otherwise still top secret, apparently. Directed by Carlos Bernard. Guest appearances by Shani Atias, Doug Savant and Seamus Patrick Dever. Guest appearance by Bridget Regan. There’s no episode on November 23, but we’ll get a rerun on December 28. Episode 3×11 – which was originally planned as the Christmas Episode being the Midseason-Finale – will presumably air in January. Again, there weren’t many BtS photos being uploaded in recent weeks. Cast and Crew still mainly rely on temporary videos now without revealing too much, which makes it incredibly difficult to even guess what the storyline could be about. Luckily, every now and then, someone feels like teasing the fans a bit. They filmed a car crash and another ballroom gala scene. Shani Atias had uploaded quite a few BtS photos and Insta Stories. Director Carlos Bernard uploaded a nice team photo while taking a break after filming in the War Room. On November 6, production started on Episode 2×12. 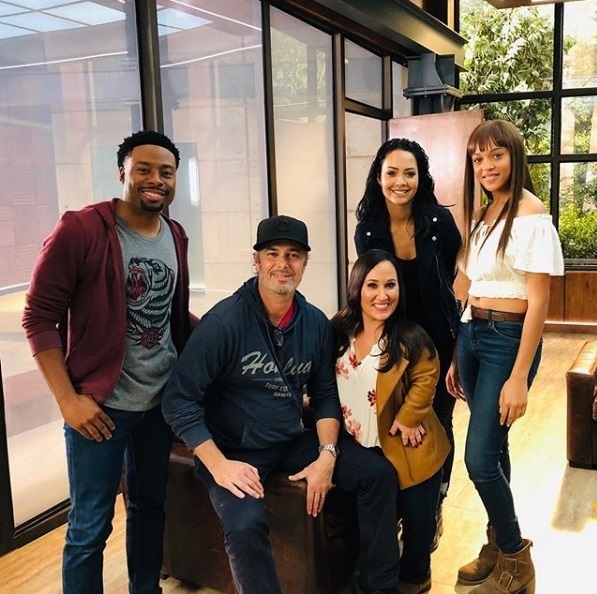 They filmed some car scenes with Tristin driving, in a hangar (and possibly inside an airplane) and several days in a building dressed to be located in Russia – while also working on a set that looks like Fort Knox. This week, the constant and cold rain led do some re-scheduling so they could film inside instead. 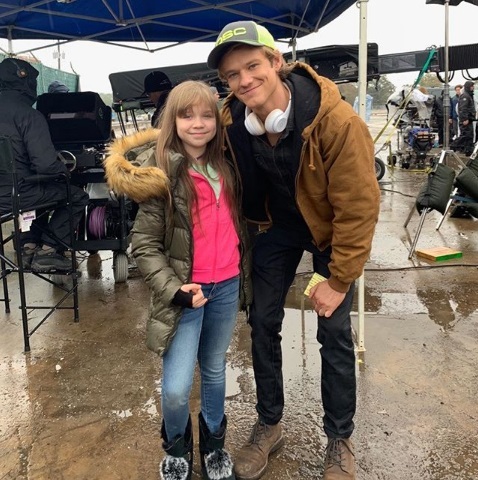 They also had some kid actors on set during the last few days: Izabella Dzmitryieu and Samuel Moody posted some nice photos with the cast. The weather didn’t change for the better though – so yesterday, they had to film in the woods; despite freezing temperatures, wind and rain. Even the cameras got to wear a raincoat. Today, they were lucky with blue skies and the sun peeking through the foliage every now and then. It’s possible they’re already working on Episode 3×13. My count might be a day or two off – but according to my files, they reached Day 100 of filming for Season 3. Today, ET Canada finally released their video-interview with Lucas (probably done back in September of Season 3). He talks about doing stunts and what’s in store for his character this season (sadly, it’s not really a surprise anymore since we’re already seven episodes in). Central Casting Georgia had posted Casting Calls for Stand-Ins for Greg Corbett, Faran Tahir, David Chin and Alex Livinalli. Additionally, they had Casting Calls for Photo Doubles, a Hand Double for Meredith Eaton and for a Stand-In with red hair. They’ve also been looking for Extras; e.g. for African American Techs and Agents, for Bad Guys, for Russian Guards and Russian Security, Tactical Men, Gala Guests, Russian Police, Russian Valets, Upscale Cars, Police, Male Fit Models, for Pedestrians with Cars, a Featured Pilot and Tactical Teams. In case you missed it: Season 1 of Original MacGyver was released on BluRay on October 30. Might be a nice Christmas gift *wink*. There’s no information yet about a possible release date for Season 2. It’s not any prestigious contest, but the Reboot is eligible for the “Best of TV Awards” held by Canada Graphs. 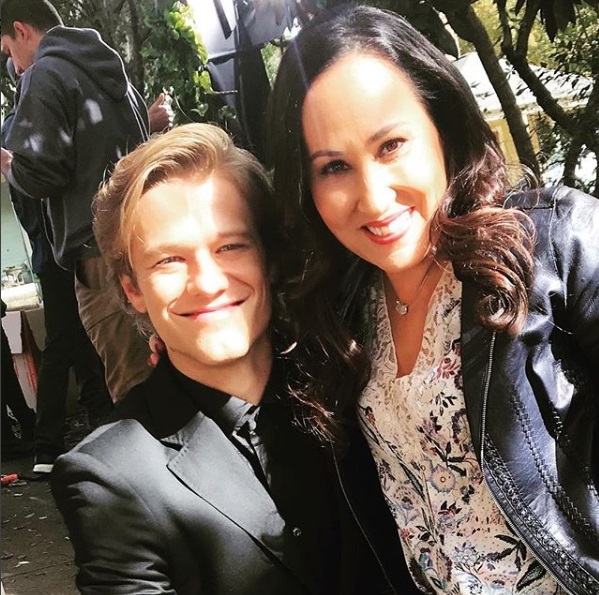 At the moment, you can vote for MacGyver in the category “Best TV Show” and for the characters in the category “Favorite TV Character” plus for the category “Best Non-Human Character or Prop” (I’ll say the robot or the SAK are the most likely candidates here). For now, you can vote as many times as you want. The show is not available to choose from the list, but you can add it into the “other” box. So add your favorites in there and vote as many times as you want as long as the categories stay open. If it’s like last year, there will be several rounds with new categories added over time.